Call us for fitness machine repair, relocation, fitness machine cables or treadmill belts at (410 859 3538). We service Maryland, DC, Northern Virginia, Annapolis, and the Baltimore area. We ship parts anywhere in the World! Full Equipment Line of Commercial and Residential Fitness Equipment and Digital Scales. We have a GSA contract and we have set up many commercial fitness facilities and private residences. Please visit us at the Atlantic Fitness Products sales website for all of your fitness equipment needs. From weight collars and scales to different handles for your gym equipment, treadmills rails, and even pedal blocks or medical equipment for special needs recumbent bikes. We can help you with your needs. All of Baltimore Maryland, the Washington DC Metro area, and Northern Virginia. 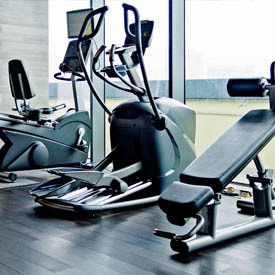 We will fix your gym & fitness equipment whether you run a government fitness facility, a municipality or even if you are a home that needs elliptical, treadmill, or spinning® equipment repair. Copyright © 2018 Krislynn LLC (Atlantic Fitness Products, Repair Division) | All rights reserved.